Today I have 3 more strategies to share with you for using Instagram, and 3 more reasons Why We Love Instagram! 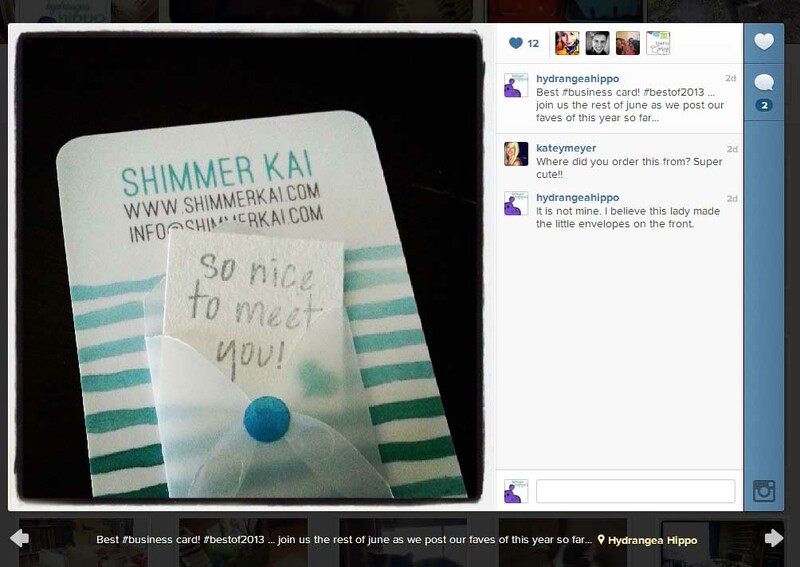 Hashtags are a way of labeling posts with a searchable “tag” to help followers find posts on a certain topic. Facebook is rumored to be adding hashtag functionatlity soon but most other social networks, such as Pinterest and, of course, Instagram, have incorporated hashtags into their platforms. Twitter was the first and original proponent of the hashtag and users have taken full advantage of hashtags. Hashtags are free! There are some great ways to use hashtags to your advantage on Instagram and to get your business and its Facebook followers comfy with the idea of hashtags. 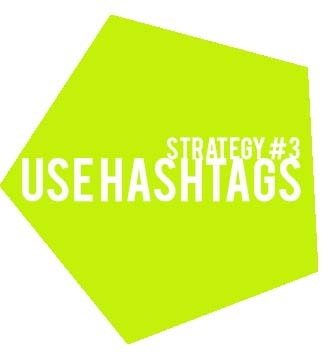 Use established hashtags to help users find your content. For example, if you do a project featuring stamping, use “#stamping”. Promote your events with hashtags. Advertise chats with hashtags. For hydrangeahippo we use #hhippochat for our chats – you can let your followers on all social networks know about your upcoming twitter chats and other events. Hashtags make it easy for them to find your posts on any social network. Make your own hashtags for promotions and blog posts. For example, I am running a series this month on Instagram called #bestof2013 showcasing some of the best things I have encountered this year. 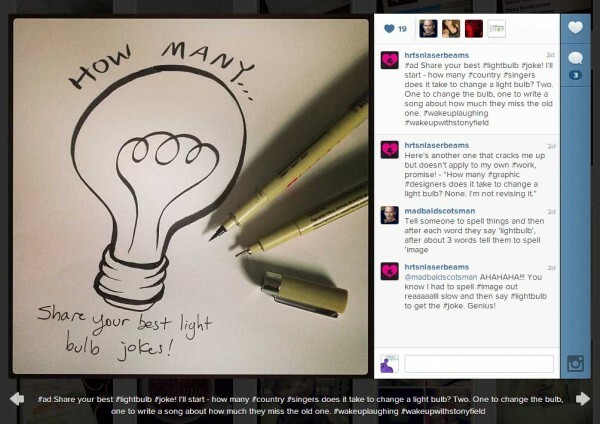 The idea is that your followers will start using your company's hashtags in their posts. Encourage them to share! Steph Calvert of Hearts & Laserbeams shared a great tip with me earlier this year: To avoid freaking out your Facebook followers by posting a ton of hashtags in the photo description when you upload your image to Instagram, considering adding a string of hashtags to your photo as a comment. 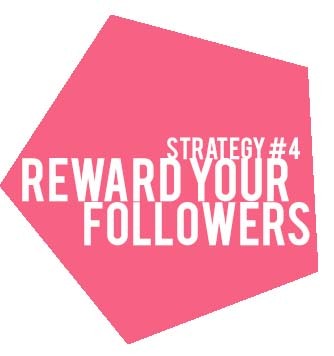 Steph shared that she has seen much better engagement with her followers as well as gained some new followers as a result of employing this strategy. Additionally, since twitter limits your posts to 140 characters (letters, spaces, etc) adding more hashtags in the comments of your Instagram post will help you take advantage of hashtags without worrying about twitter limits. These hashtags won't show up on twitter but they will help with improving your Instagram traffic. Use Instagram to offer exclusive promotions and discount codes to your followers. Why not? Especially with Instagram being visual, you can share a great photo with your code on it and encourage followers to share. 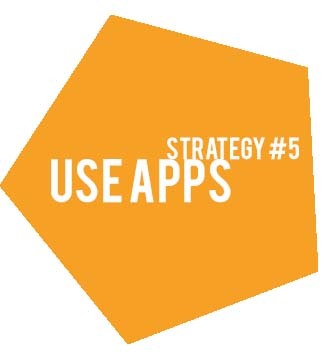 Skip ahead to strategy 5 for a list of apps that you can use to add text to your photos when running special offers just for your Instagram followers. Consider using a different code for different social networks so that you can track sales related to your posts. For example, maybe HIPPOIG for Instagram and HIPPOFB for Facebook, etc. 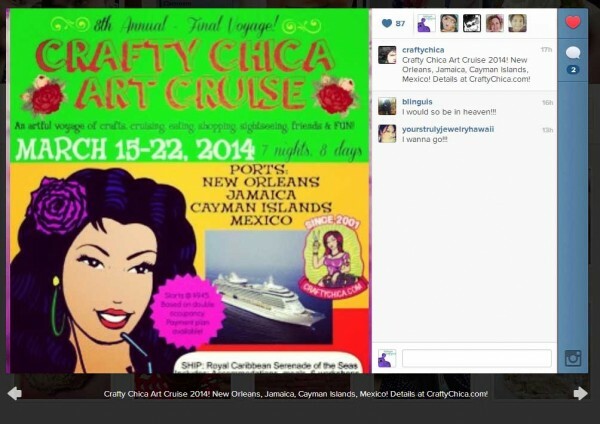 Rhonna Farrar is rumored to be developing an app for Instagram sharing soon – can't wait! I hope she develpos it for Android users too. I hope you'll try these two strategies this week.